A Lansing-based firm specializing in real estate, land use, and commercial litigation. McClelland & Anderson represents property owners, developers, buyers, sellers, and REALTORS® in the development, financing, sale, purchase, and leasing of property. The firm advises business and property owners and represents them in court and at administrative proceedings in commercial and employment disputes as well as land use, construction, and title matters. 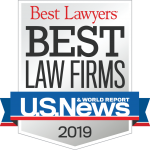 Since its founding, the firm has had the highest rating from Martindale-Hubbell and was selected for the Martindale-Hubbell Bar Register of Preeminent Lawyers based on its rating by other lawyers. Best Lawyers ranks the firm as Tier 1 in Real Estate Law, Real Estate Litigation, Construction Litigation, Land Use and Zoning.